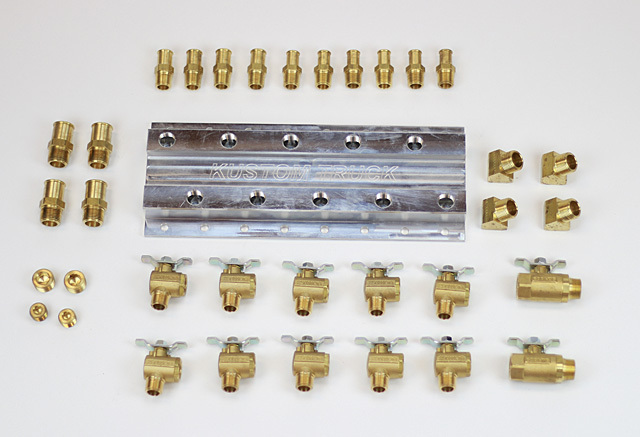 Kustom Coolant Distribution Manifold Kit for the distribution of coolant needs for your Peterbilt glider kit truck, Kenworth glider kit truck, Western Star glider kit truck, or Freightliner glider kit truck. 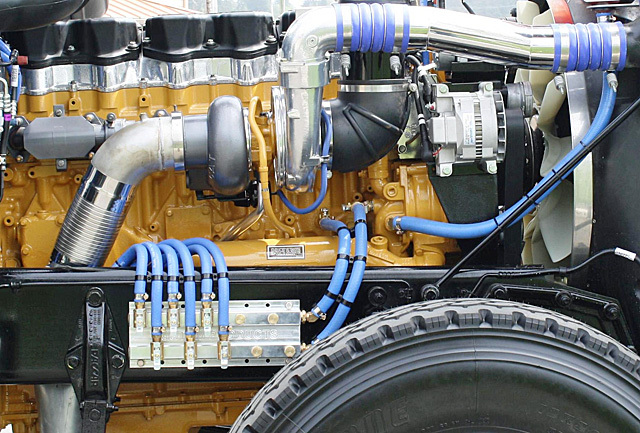 The Kustom Truck coolant distribution manifold kit comes complete with all fitting required to plumb a Cat, Cummins or Detroit engine. For a functional, efficient, and low maintenance option for the plumbing of your coolant lines on your heavy duty truck contact Kustom Truck. Contact us to learn more about the benefits of the Kustom glider kit assembly parts. Kustom Coolant Distribution Manifold kit, Glider kit installation parts, Peterbilt glider kits, Kenworth glider kits, Western Star glider kits, Freightliner glider kit, Kustom water manifold kit.